There is a quote that says “to judge someone, we can see from their writings.” Moreover, in this digital age, all can be reflected in what we write on social media or other new media. We tend to make mistakes in spelling, or grammar which sometimes embarrassing if read by our boss, client, customer or someone we love. Usually, I insert words or phrases into Google Translate, Microsoft® Word or do a manual check in the dictionary. You also may have your way. However, the result is not satisfying, and some still interpreted literally. So, the message of the sentence is broken due to the odd choice of words. Don’t worry, the mistakes sometimes experienced by professionals in their field, I also had made mistakes too — when creating a post of social media, script, press release or other writings in English. I’m not a native English speaker. However, it’s not an excuse. I need to improve my writing. When I knew there is a web application that could check my grammar and context of the writing in English, I am so excited. The web app is Grammarly. It founded by Alex Shevchenko and Max Lytvyn in 2008. Their headquarter is in San Francisco, United States. Grammarly claims that it used by more than 4 million users and more than 600 leading universities and companies. If you are a student, a professional writer, public relations, secretary, employee, business people, bloggers, and people who just want to write English better, then I think you will need Grammarly. No matter what condition your writing is, Grammarly adjusts to your needs, as well as giving you confidence in writing English. This app has a variety of benefits, including Grammar Checker, Proofreading, Plagiarism Checker. I also like their thesaurus service (Words by Grammarly) which helping me to find many types of words. Grammarly checks the text you write for determining the use of the right words with more than 250 current rules of grammar, which include everything from a subject-verb to the purposes of the structure of articles to provide proper placement. This app can provide input use of the correct spelling, correcting embarrassing writing mistakes, for example, “worthed”, which should be “worth it” — many people misspells it, thus confusing those who read. The words used in your writing can make an impact for people who read. However, you do not have always using too many flowery words or technical words known only to certain people. With the recommendation of Grammarly, your vocabulary will increase, and there will be seen as a great writer as well. 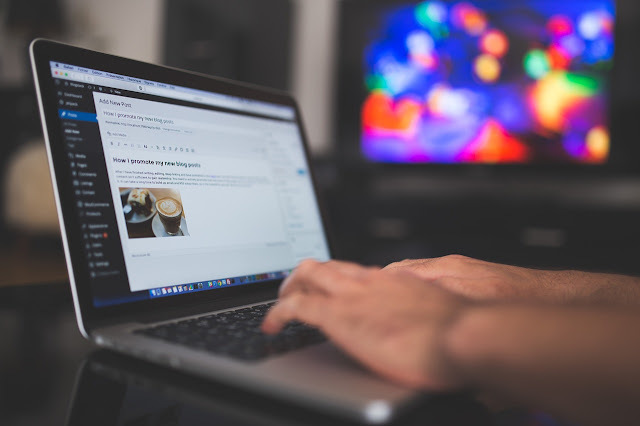 When writing, especially if you are a blogger, author, usually you will need inspiration and increase vocabulary by reading the writings of others. Without realizing it, what you know, stuck in mind. So the text you write actually the same as what you read. It also becomes easy for you to give credit to the original author. Grammarly detects through your writing with eight billion web pages in the world. The additional applications will help you to write without mistakes in Gmail, Facebook, LinkedIn, Twitter, and wherever you are writing on the Internet. If you are more comfortable to write in Microsoft® Word, then installing this app is a must. Not only that, this application has integrated with Microsoft® Outlook, so it will prevent you from grammar errors before sending an email. With this application, you can quickly access the Grammarly on the desktop computer screen. You like having Proofreader or editor itself, which would cost less than hiring someone. Just like a personal assistant who is ready to accompany you 24/7, Grammarly available to help whenever needed, as long as you connect to the Internet. 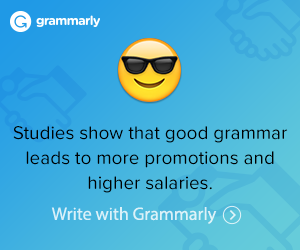 You will be a Pro because your writing ability increased with the assistance of Grammarly. Good writing will improve your grade scores in school, college or in the workplace. A good score would potentially lead us to get a better job better. If you are a group of educators or students who needs to proofread your papers and to improve your writing skills, they also have a specific plan for this. It's called Grammarly @edu. You can choose either a Campus License (unlimited access to all students and instructors) or a Volume License (up to 50 users). If you have questions in mind, you can go to their support page (support.grammarly.com). Let’s begin to write in English properly, because our writing reflects who we are. Happy writing!